The problem is with a Jane Trider pushchair so it's not exactly a Bicycles question, I'd love suggestions for a better place to ask this. But all the parts are like on a bike, only they are attached to my daughter’s pram. A short summary is that an unusual wire has snapped, I have a few ideas how to fix it but each idea has an issue with it. The brake is based on separate wires for either wheel and a lever pulling both wires at the same time – please see the photos below. All photos are taken after removing the snapped wire. The original wire is approx. 1mm diameter, the balls are approx. 3mm diameter, and the gap between the two pins in the handle is only a little less than the size of the ball. Each wheel has a fail-safe spring, which pushes a locking bolt into a slot in the wheel unless retracted by the handle. One of the wires has snapped, so I had to remove the spring and bolt and we are down to one braked wheel. I’m not sure why the wire snapped as they really do not carry that much load (not the braking force anyway). I can only think it was fatigue worsened by gradual wear from rubbing on the two silver pins holding the ball in the handle. There is an original replacement available for £25 + £2.99 delivery, which seems a bit steep considering the amount of work then involved in routing the replacement cables. 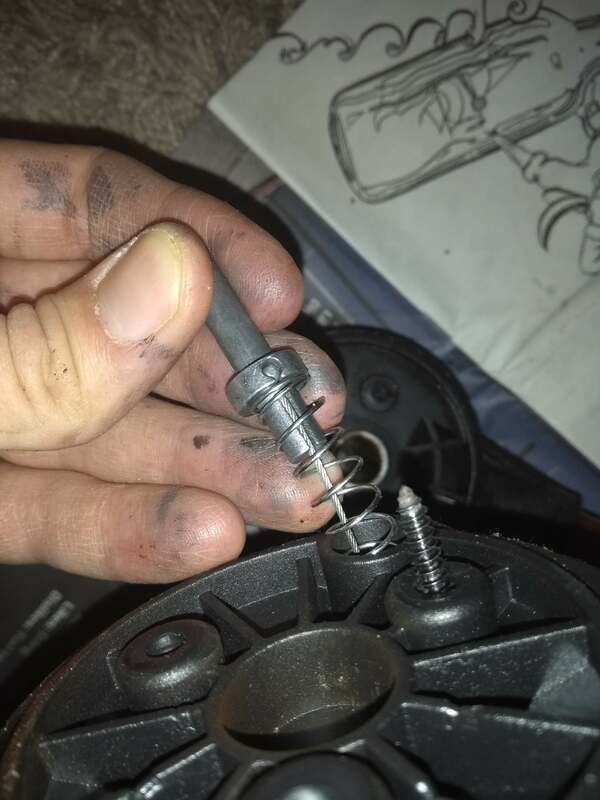 I would much rather spend that money on some tools and replace the wire myself. Below is the solution I came up with together with some specific questions to keep SE rules happy, but if someone has another solution then I would love that too. 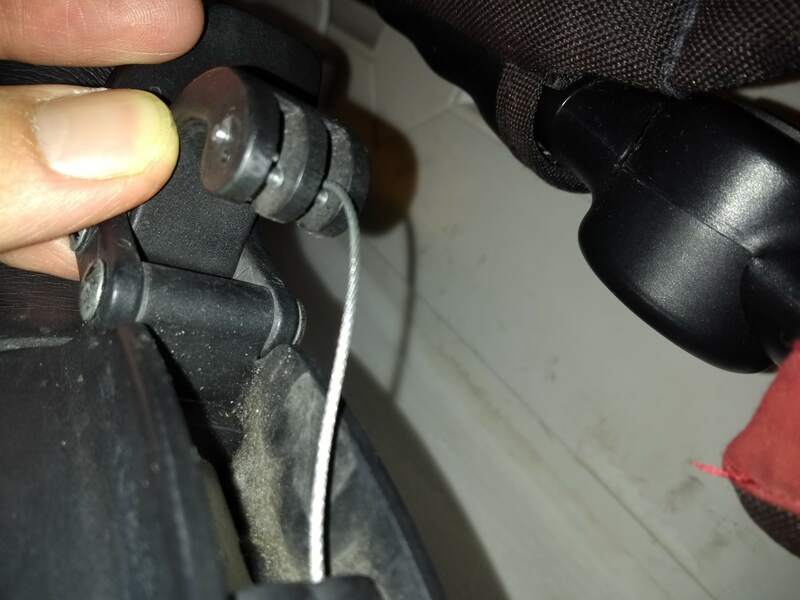 For the record, one of the questions I have asked myself is whether it snapped at the ball or not; the answer is I can’t tell for sure because I’ve already removed the snapped wire from the black cable, but it probably doesn’t matter as it’s definitely too short to just put a new hook/ball on it. Join the remaining part of the old wire – and here is the question in my post, how do I do this? 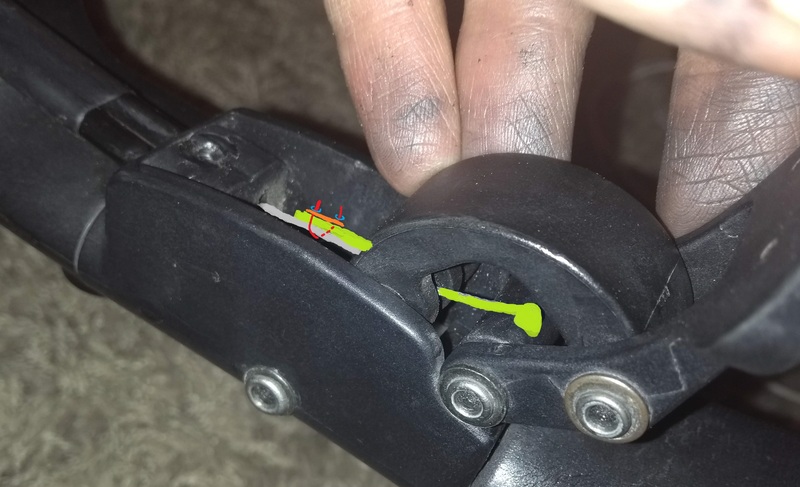 One or two wire grips or clamps (like shown in the annotated photo below, the orange part is the saddle) – different styles exist but the smallest I can see online are for 3mm wire, way too large. I could make one to imitate how wires are held in brakes and derailleurs, but can’t think what to make it from. A swage crimp – but I’m not convinced the crimps for electric wires have enough grip, and general mechanical ones don’t go down to this size. Can anyone suggest how to overcome the issue with one of the above four options? Or can anyone suggest a better fix? I don’t fancy replacing the entire handle etc. As the brake system is designed to fail safe, I think you're good to repair it - carefully of course. 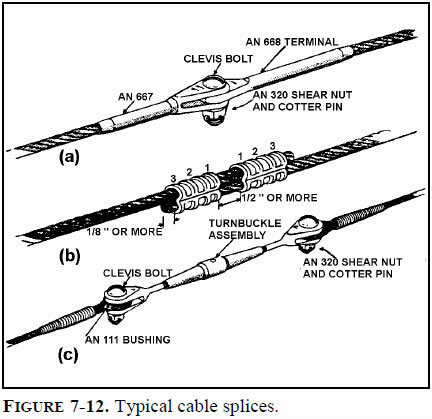 To crimp-splice the cable is perfectly possible. I found these by searching eBay for wire rope crimp (the word "rope" excludes electrical crimps quite nicely). The 2 mm size should do 1.6 mm cables quite effectively, but if you've got 1.2 cables (as used for bike gears) you might want to get 1 mm crimps as well to see which works better (my daughter's puschair used those). 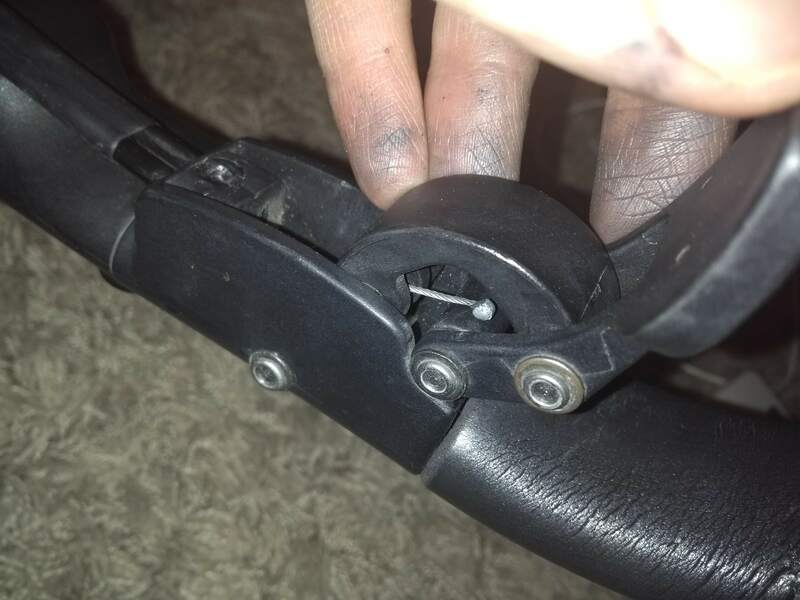 You probably need to splice in a new length of cable unless you can buy a bike cable with the right end (and you might be able to - zooming in they look like MTB brake cables). If there's space I'd double up the crimps on each join, with a few mm gap in between. The crimp tool probably costs more than the manufacturer's spare part, though a cheap crimp tool for electrical joints might work. Alternatively I've been successful on similar parts by using blunt side cutters - take a cheap pair of wire cutters and remove the cutting edge. If they're very cheap a file will do, otherwise a grindstone or coarse wet/dry paper. Then squash each crimp twice at 1/3 and 2/3 of its length. Squash them hard and pull-test. If you've got offcuts and spare crimps you can really put a sample join to the test - it should easily take your weight. 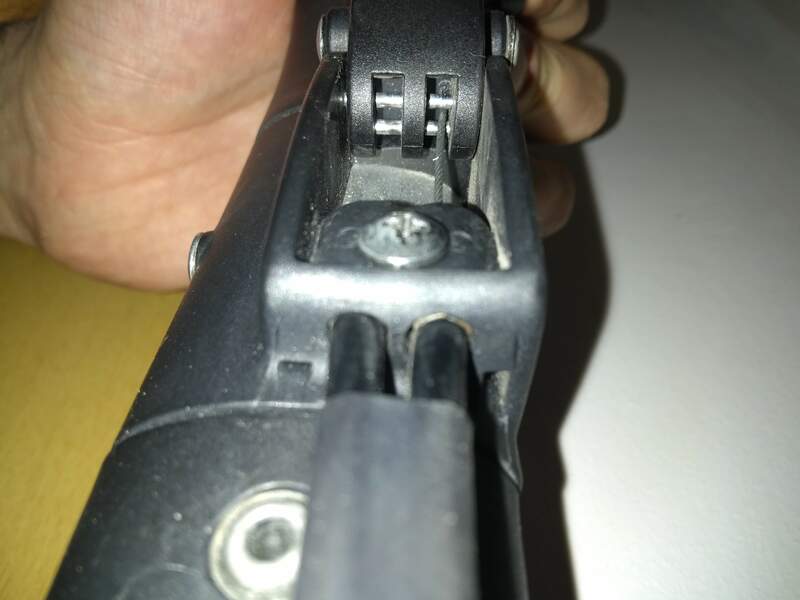 Once again, if this was a pull-to-stop brake I'd be more cautious, but as it's pull-to-release (by your description) you should be OK. You do however need to plan and test that the repair doesn't even come close to defeating the spring mechanism. A wire swage would be the correct tool for the job. The middle image here demonstrates two ends overlapped and swaged together. Bicycles generally don't do this because bike brakes/gears have a fixed end and a trimmed end which is clamped down under a bolt. finding a swage small enough for the job, and a swage-tool small enough to compress that swage properly. A pliers are the WRONG tool! making sure there's enough run out in both directions for the wider part of the inner wire to move back and forth without snarling. A chocolate-block style joiner will slip eventually, so don't try and use electrical joiners. You might consider silver-soldering the overlapped wires together. This will depend on any surface coating and the metallurgy of the wire and so on. This could be good in addition to swaging, but not as the sole joining solution. But honestly, while 28 UK Pounds is a lot for a wire, it is a part of a brake system and not something you want to risk failure. You have to make the judgement call on whether its worth the piece of mind. And do check the other wire to see if its fraying in the same/similar place. Throttle Cable Solder Repair Tool - Simple Fix! There the author presents a mould made from an old bolt and melts soldering lead to form the barrel. Of course you'll spend more than £25 + £2.99 on the torch, soldering tin, flux, brake cable, etc. but on the upside - the tools remain for the next job and you gain some new skills. When do my brake pads need replacement?